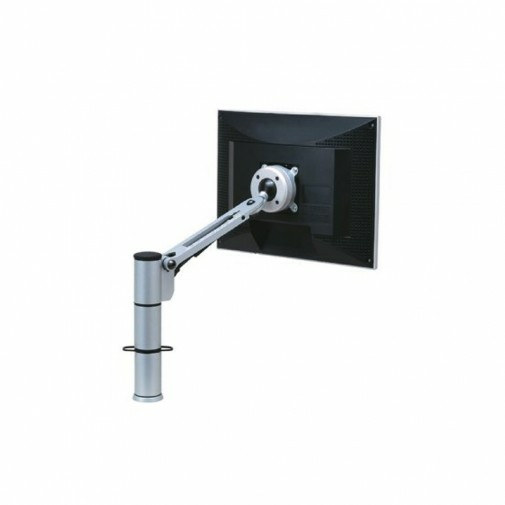 Spacedec Mounting Swing Arm for Flat Panel Display is Engineered with ergonomics in mind, the Acrobat Swing Arm is a desk mount that can be adjusted in height, tilt and pivot while the user is still sitting down. Perfect for any office, home or commercial setting, this mount requires minimal effort to create the optimum working position. Suitable for screens weighing up to 19.8lbs (9kg), the gas strut mechanism allows the user to glide the screen up and down, rotate between portrait and landscape and alter viewing angle by up to 40 degrees in any direction. This is ideal for glare control and creating an individual work space for different users across a number of applications.